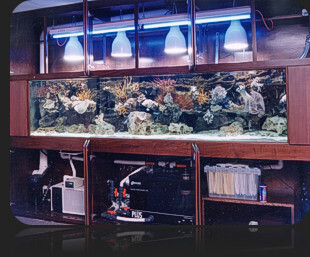 Do you have questions about your aquarium or your fish right now? Complete the questionnaire provided at the link below and contact one of our stores to receive some guidance. The Aquarium Problem Solving Questionnaire was designed to help gather critical information. This information is needed to diagnose concerns or problems that might arise as one observes the daily animal behaviors in their aquarium. By developing a baseline or starting point of data, effective “next steps” can be executed with confidence of success. This easy to use format allows you to review all necessary parameters while also establishing a time line of all occurrences in the aquarium. The aquarists at Aquarium Adventure can help you develop the next steps by reviewing this data with you.